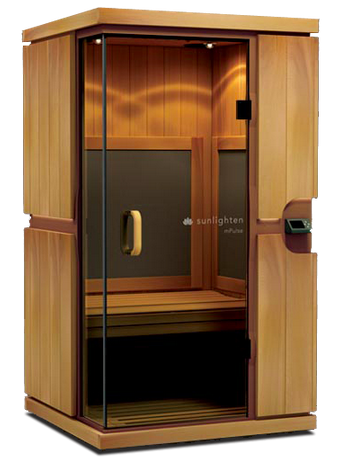 pH Miracle Dry Heat Saunas work with radiant energy, just like what you feel when you step into the sunlight on a cold day. There's no need to heat the air, in fact the front window opens for ventilation. The suede-flocked heating panels are safe to touch. The entire cabin is ready to use in about 5 minutes — unlike the 60 minutes for traditional saunas, and the unit consumes one-tenth the electricity! 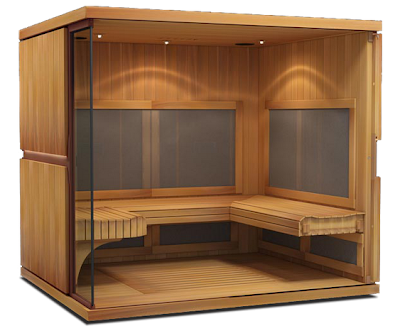 These saunas are crafted of Western Red Canadian Cedar, with individual panels hand-selected and matched to a furniture-grade finish. The solid wood frame is built to last and is healthier for you than plywood frames, which emit toxic fumes when heated.